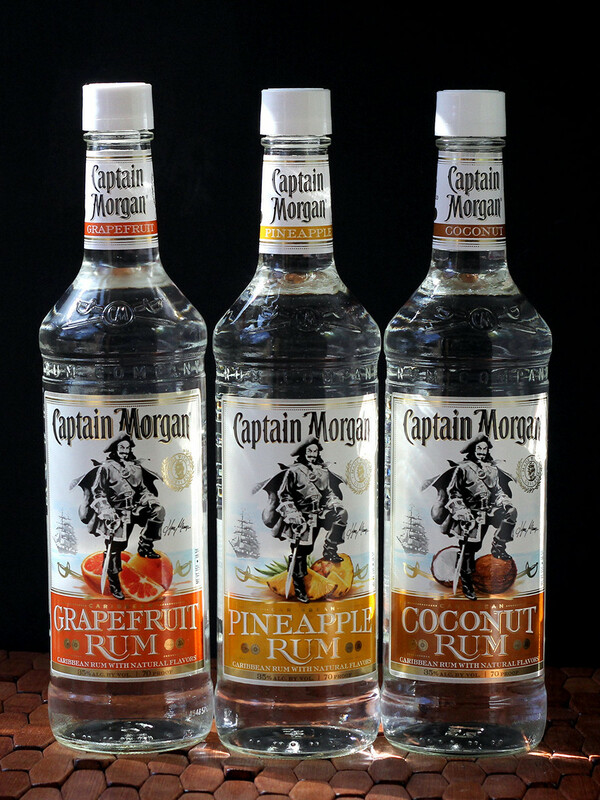 A short time ago, I received the lastest new flavored rums from Captain Morgan - grapefruit, pineapple, and coconut. As soon as I posted a photo of the rums on Facebook, a friend told me how great the grapefruit was. Interesting. Of course I didn't take their word for it - I did a taste test. The grapefruit was indeed stunning. s soon as I opened the bottle, it smelled like grapefruit and the flavor was there, with a little hint of sweetness. The pineapple was the one I expected to love, and it was really good, too. I can see a lot of interesting uses for it, even in cooking. A pineapple rum cake could be fun. Then we come to coconut. Hmmm. I'm not a huge fan of coconut, but I tasted it, anyway. And ... it truly wasn't bad. It was actually good. It had the flavor of coconut, for sure, but it was totally drinkable. I probably won't seek it out simply because the pineapple and grapefruit would land in my basket first, but I'm definitely going to whip up some cocktails with the coconut rum. I particularly liked it mixed with the pineapple. So then I started playing around with cocktails. this one is ridiculously simple, but it's amazingly delicious. It would be perfect for a brunch. Mix up a pitcher for a party or a barbecue. I didn't garnish with anything, but it would be lovely with a skewer of fresh fruit, orange slices, cherries, or chunks of pineapple. Or, you know, a paper umbrella, because those are just silly and cute. Combine the rum and pineapple juice in a glass, garnish as desired.and serve. Yup, that's it. Two ingredients, and you're done. Perfect for brunch, when you're busy with everything else that brunch entails. You can add ice if you like (or if your juice isn't chilled), but I thought it was great without. *Fresh pineapple juice is always preferred, but if you don't have a pineapple and a juicer, the frozen concentrate that comes in cans is pretty good. There's also a pineapple-orange-banana juice that I like a lot - I think it would be great with this rum. I receive products from the Captain Morgan family of products for my use in making cocktails.